Home Messianic Remnant Do You Want To Keep The Feast Of Tabernacles This Year? Tomorrow starts the feast of Tabernacles, and it goes on for 7 days. Would you like to participate this year? If you are a Christian, you should know these festivals belong to you. They are yours as they are anyone elses. Feast of Tabernacles is one of God’s special festivals found in Leviticus. 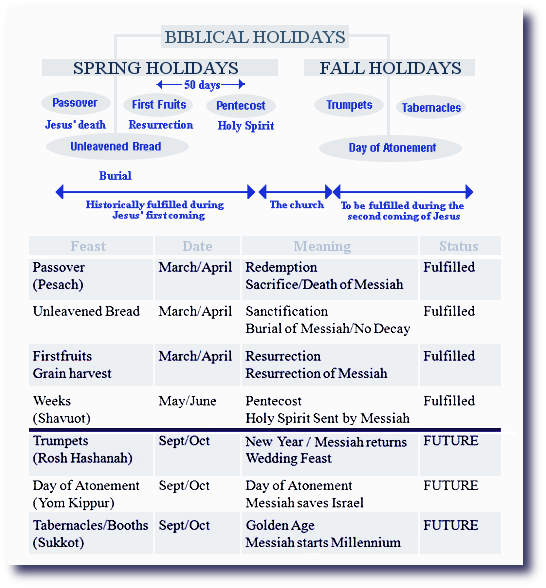 Did you know that all of the Leviticus feasts are actually prophecies of Jesus, or the Holy Spirit? They are easy to keep, and the best thing is you don’t need any money to keep them, unlike many of the celebrations found in the world. If you love camping, then you might really enjoy Feast of Tabernacles. God is instructing us to live in a tent for 7 days. Are These Festivals For Us Today? So what that is saying is that God the Son didn’t change what God the Father set up so many thousand years ago. What was set forth so long ago, is celebrated today as well. Yeshua Jesus tells us in Matthew 5:17-20 that not one punctuation mark, comma, or period will disappear from the instructions He gave, and these instructions are for us today as they always have been for believers through time. It is important to know that the Law or instructions can be compared to like a guide book for righteous living. Much like we we have rules for the rules of the road, (stop lights, and regulations of highway driving) they exists for our own well being. We have stop lights simply to provide order to the road. We all simply cannot make up our own rules and expect there to be unity in the body of Christ. Such is the same for the road, – the rules exist to unite the people so we are all on the same page when it comes to a stop light, or green light. We keep these things not to attain our own way into heaven, but rather out of wanting or desiring to keep the things that our Father gave to us. No matter how hard we try to be righteous, or “good“, only Jesus’s sacrifice is sufficient to wipe away our sins for our entry into heaven. What Is The Reason For Keeping The Feast Of Tabernacles? We put up tents to remind us of the time believers spent in the wilderness when we were totally dependent on God for everything. These believers thousands of years ago, could have perished due to their lack of food and water for forty years. Can you imagine living out of a tent and moving around for 40 years? We remember when we depended on God for everything, and going forward, it also reminds us that again we are going to have to depend on God for the uncertain times ahead. Many of these festivals you can make your own. Some families take this time off and go camping, while others set up a tent in their back yard. You can invite people over and have dinner in your tent. Many people love looking at the stars in their tents, and others simply do bible studies in their tents. What ever you celebrate, do it in your tent. About 9 years ago, we stumbled upon these feasts, and we really didn’t know what we were doing. In fact, some times we still feel that way. They are so foreign, because most of us didn’t grow up with them. Though take assurance in the fact that you really cannot go wrong with celebrating them, because God will smile that you are even attempting to keep His holidays. When we first started keeping them, we would make beds on the floor in our living room in our small apartment, and we would hang a bed sheet over us. We would take two dining room chairs, and simply hang a bed sheet which was draped over a chair. Other years we moved our mattresses out into the living room on to the floor. We progressed to having our tent outside some years, and again, setting up a tent in the livingroom. Where ever our tent was, we made sure we decorated it with branches cut from the outside, and we made sure we slept and prayed in our tent for the week long celebration. I can only imagine how children would view this holiday as a special event to sleep in another room. I can only imagine their excitement sleeping outside while school was in session. We should look at this celebration EXPECTING God to meet up with us. How I look at this feast year after year is God is telling us HE is going to visit us during this week. So expect him to show up giving you words, giving you dreams, giving you revelation, answering your questions. Our Feast Of Tabernacles Tent This Year, we have yet to put our branches on our tent. I encourage you to set up a tent, whether it be a tent for outside, or simply a bed sheet over some blankets in the living room, and celebrate this festival that Our Lord has instructed us to keep. 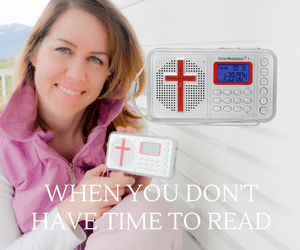 This is our appointed time when our Father comes around to visit His children. Will you miss out on time with him, or will you be there, waiting for him to show up? We stumbled upon the feasts about 1 to 2 years after we were married, and we have been married for 10 years now. I still remember the day that my husband pulled me into our little apartment’s office to show me an article on these things. We decided to participate in them the best way we knew how, and still today, I think if you have your heart into it, the Lord will honor you for trying. I think one thing you should know is these things are ours. Yours and mine. The Jews, or Judah has been the only one who has kept them, so we think they are theirs only, but in fact, they were given to all God’s children, all believers in Yahweh. The torah was written to all believers, and so we gladly claim them as our blessings too. I personally think we have been blessed for keeping them. After we started keeping them, I think the Lord opened doors for us in amazing ways. I believe if you start keeping them, the Lord will bless you in unexpected ways as well. How my husband and I look at the feasts, is we follow the general instructions set out in Leviticus. Those are the base commandments, and any additional things you add to celebrating them, is up to you. Just like the sabbath, the Lord gives us only three commandments regarding how to keep them…. 1. Keep it holy, 2. Don’t buy and sell, 3. Don’t work. It is important to distinguish what is commanded, from what is tradition. My point is, in the scriptures it tells us about the sabbath that we are not to judge anyone how THEY keep them. As every family is going to keep these things slightly differently. Some people think it is wrong to do such and such on the sabbath, and so with all these festivals, we have to let the Holy Spirit enlighten us or guide us through year after year. It isn’t wrong to add to them, and keep in mind every family is going to add their own flavor to it. This festival goes for 7 days, in which we eat unleavened bread. We have other normal dishes during this time, but we incorporate unleavened bread into our meals. Before this celebration occurs, we are required to remove the leaven from our homes. So about a couple days before, we go through our pantry and remove it. Because we stock up, we cannot just discard food, so what we do is move it out to storage in our shed for that week. This year we were shocked how many more things we missed in the past by just by reading the labels. It is great time to house clean your pantry, and discard things in the fridge, such as bread, and through this process can be fun. Something I discovered is the brand ” Yehuda Matzos” is actually better than any other cracker I have tried in the store. Of course, my husband would disagree with that. I love this brand! I actually toast it up in the toaster, like toast, and put butter and a chocolate spread. Another really yummy thing you can do is use a slow cooker, and melt dark chocolate, and use a knife to spread it on. As it dries, the dried chocolate cracker is amazing. Here is another thing about these crackers… they just never expire. We had some crackers from our third apartment, about 6 years ago and they still taste fresh. They are the ultimate ultimate long term food storage item. So, with this festival, the first and last day it is commanded to join up with some other believers. Both of these days you cannot work. In the past we went to services held on this day, or tuned in to services online, live stream. Mark Biltz usually has services for all these holy days, and they do a terrific job with the live streaming. Usually on this festival we give a donation of some sort to a ministry. For the last couple years we have been giving to Gospel for Asia. They have Jesus wells that are amazing reminders for spreading the gospel in communities without water. Giving a donation of some sort I find is a special way of celebrating it. This is a holy day in which the Holy Spirit was given. So this day you could incorporate prayer, and speak in tongues. This is a high holy day to observe. This is the day that we believe the Lord will return some day. We would blow the shofar… Getting together with other believers or tuning into a celebration online is really special. So this is another celebration that it is commanded you take the day off. This day it is required to not work, and to fast. So this day is often spent in prayer. Repentance is the key theme, and judgment in the future for those who don’t believe in Yeshua. This is more of a serious feast, rather than a celebration. Some day we will be returning to the world with Jesus dressed in white. It is traditional to wear white. I tell you a little story. The first year we started celebrating these things, I sort of did it with a “what ever “ attitude. God gives us grace to learn, but that wasn’t my attitude. I had a bad attitude. We lived in an apartment at the time, so we had to make our little tent in the living room. My husband asked me to do it with him, and I just was lazy. We had take out that night, and I ended up getting food poisoned, yet my husband didn’t. He ate from the same dishes. That certainly caught my attention. Every year since then.. I have tried to take these things seriously, meaning ……wanting to put the effort in them. 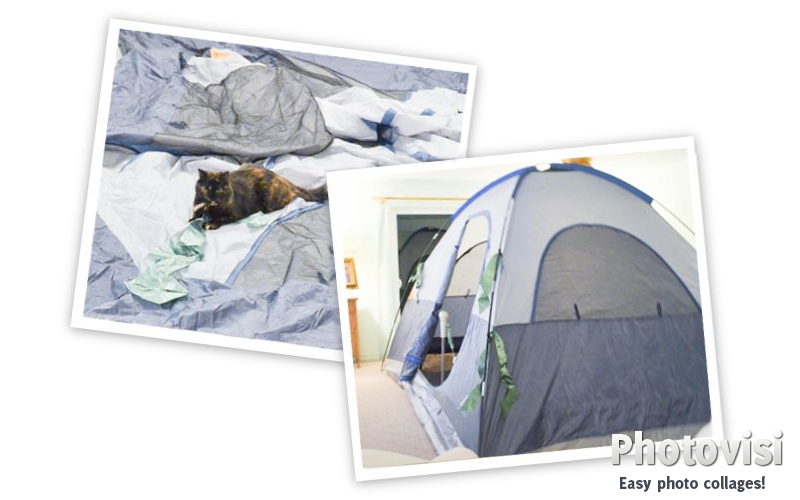 When we lived in apartments, we would create a tent in our living room, or pull our outdoor camping tent inside. It seems like every year it is COLD outside when this festival comes around, so we just set up our tent inside. We make sure to pray in it every day, and really spend some devotional time in it. The theme is God dwelling with us, so we should expect these greater miracles to take place. We set up our little tent, and sometimes we have pulled in our twin mattresses into the tent. I don’t think the theme is affliction (suffering sleeping on the floor)..but drawing close to God. The bible does tell us to decorate it with branches, so we snip off a couple branches from the wilderness, our back yard and tie them on to the tent with ribbon. We usually take every celebration off, but we also work from home and can. If you can’t, just celebrate it how you can. Put on praise music, and really get into worshiping Him. God will look down with a smile any of his Children who are trying to draw close with him. Remember if you go to other celebrations, take note that everyone might celebrate a bit different. We don’t light candles, but other people do. Many people like to bring in some of the Jewish traditions into it, such as washing of the hands, or saying Jewish prayers…and they can be beautiful traditions to get you into the mood of the celebration. Borrow some other ideas from others and make them your own. The one thing I noticed with these festivals is they fly by! If we don’t put the effort into making them special, then who will? Enjoy this Feast of Tabernacles! Next articleWhen Something Is Repeated In Scripture Twice, It Is To Be Considered Important, But What If It Is Repeated 5 Times In A Row?